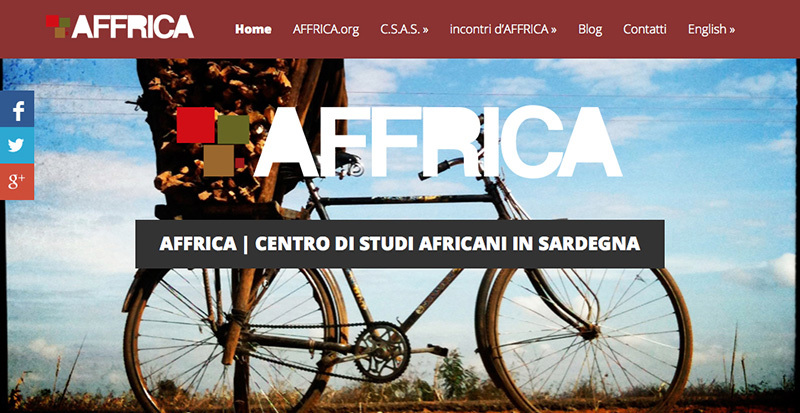 The website AFFRICA.org was created in 2010 by members of the association AFFRICA – Centro di Studi Africani in Sardegna (CSAS). In 2014 AFFRICA.org has changed its look and gained a brand new English version. In these pages you can find a section with more information on the objectives of the website, as well as a presentation of our association CSAS and short biographies of its members. Despite the most essential parts of our website have been translated into English, most of its contents will continue to be in Italian, as the main audience is Italian-speaking, but we look forward into expanding our English contents as well. Do not hesitate to contact us if you would like to have any additional information.